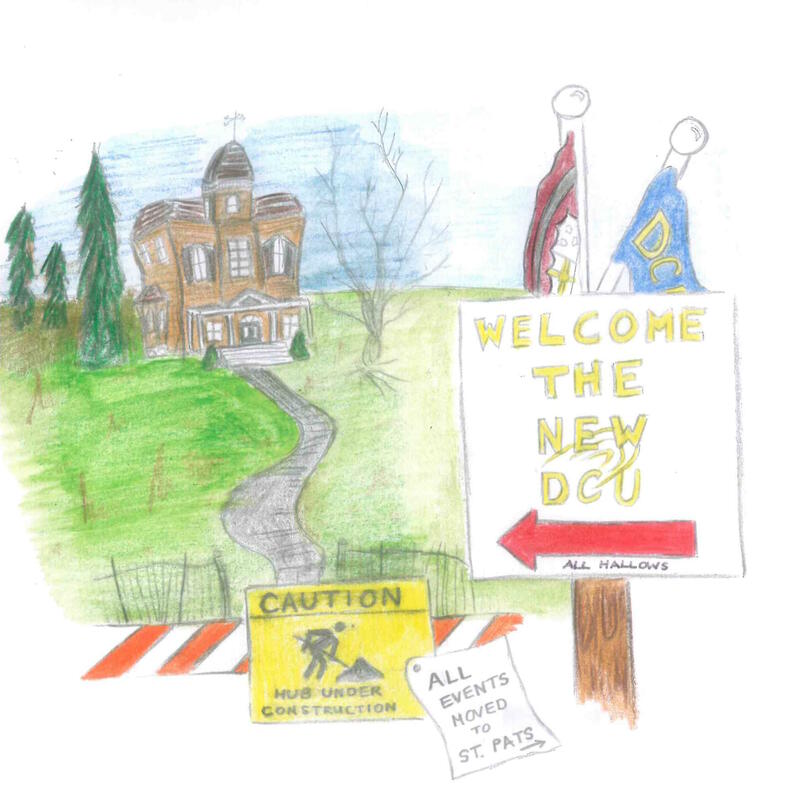 Fifty-one per cent of students from DCU and its incorporating institutions reported dissatisfaction with the “New DCU”, while 29 per cent said they had experienced no change. Just 20 per cent of 148 respondents said that the incorporation had proved a positive venture. St Patrick’s College, Mater Dei Institute and Church of Ireland College of Education have been officially incorporated under the DCU umbrella since September 2016. Teaching colleges, St. Pats, Mater Dei and CICE have amalgamated to form the DCU Institute of Education which, when combined with the DCU School of Education Studies, has over 4,000 students. The changes caused by the incorporation have caused challenges for some students. When surveyed, 23 per cent said that the change in lecture location had been a significant disadvantage, with many students also concerned about timetables and course content. While disorganisation, lack of communication and widespread confusion were reported as significant problems during the incorporation process, the majority of students cited loss of college atmosphere as the biggest disadvantage. Another stated that St Pat’s “identity, spirit, community, societies and clubs” had been lost. The majority of respondents who were dissatisfied by the incorporation identified as legacy students from St. Patricks College and CICE. The majority of DCU students surveyed said they experienced little or no change, citing the main disadvantage as the requirement to attend certain lectures on different campuses. Students expressed displeasure over the change in location of lectures and events. Illustration by Zoe Ryan. 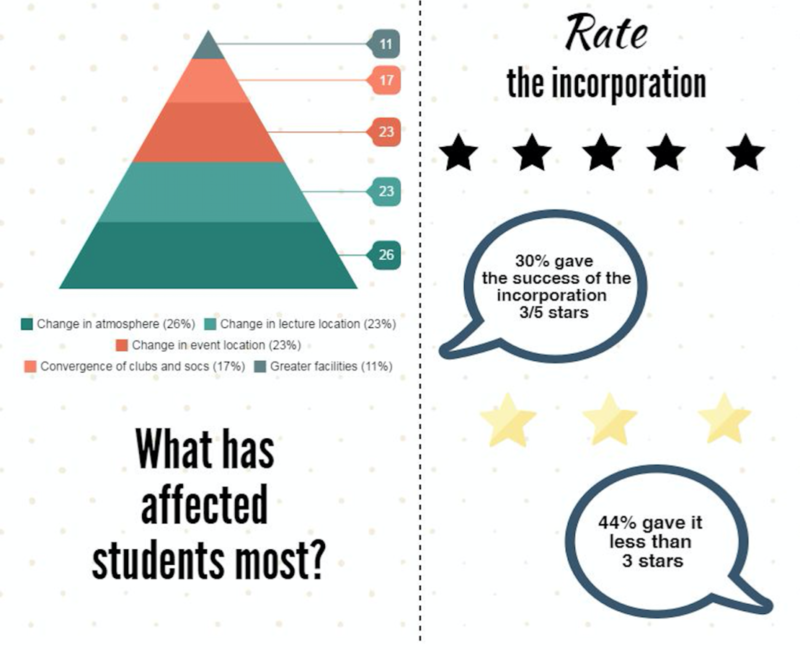 When asked how the incorporation benefited students, respondents cited the opportunity to join more clubs and societies, the diversification of the student body and the stronger institutional position of the colleges in the higher education sector.